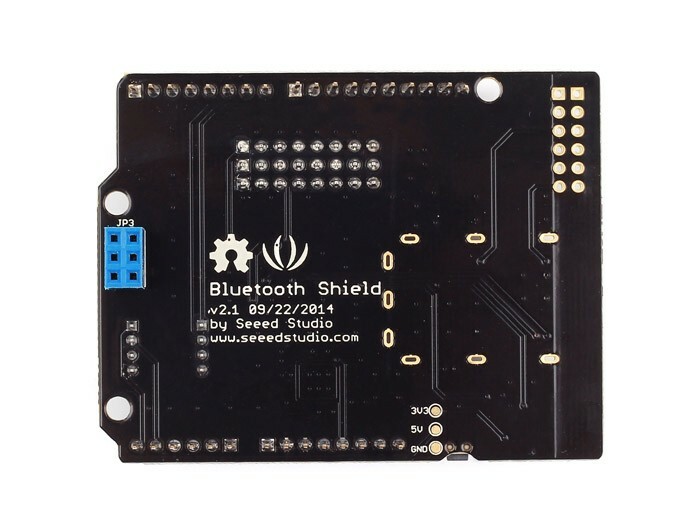 he Bluetooth Shield integrates a Serial Bluetooth module. 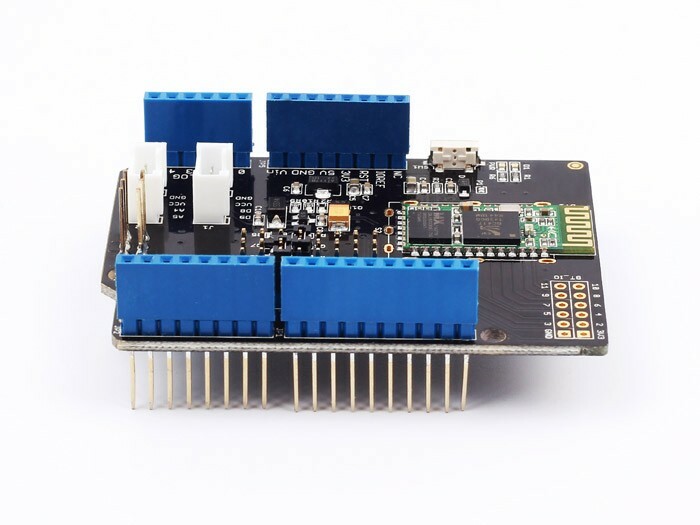 It can be easily used with Arduino/Seeedstudio for transparent wireless serial communication. 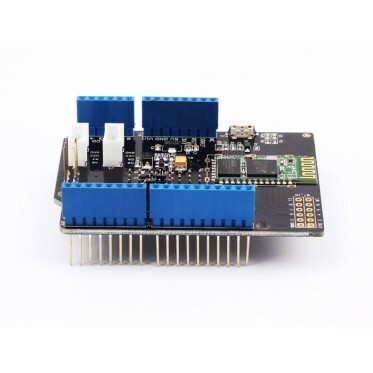 Features: Seeeduino/Arduino compatible Up to10m communication distance in house without obstacle UART interface (TTL) with programmable baud rate A full set of configuration commands On board PCB Antenna Specification: Power supply Voltage: 3.3V Baudrate: 9600, 19200, 38400, 57600, 115200, 230400, 460800 Default Baud rate: 9600, Data bits: 8, Stop bit: 1, Parity: No parity Default PINCODE:”1234” Bluetooth version: v2.1+EDR Documents: Please visit our wiki page for more info about this product. It will be appreciated if you can help us improve the documents, add more demo code or tutorials. For technical support, please post your questions to our forum.